This fantasy piece depicts a retro styled rocket ship firing away from a red planet in deep blue space. It is made of hand forged copper and enameled in white, red, yellow and blue tones. 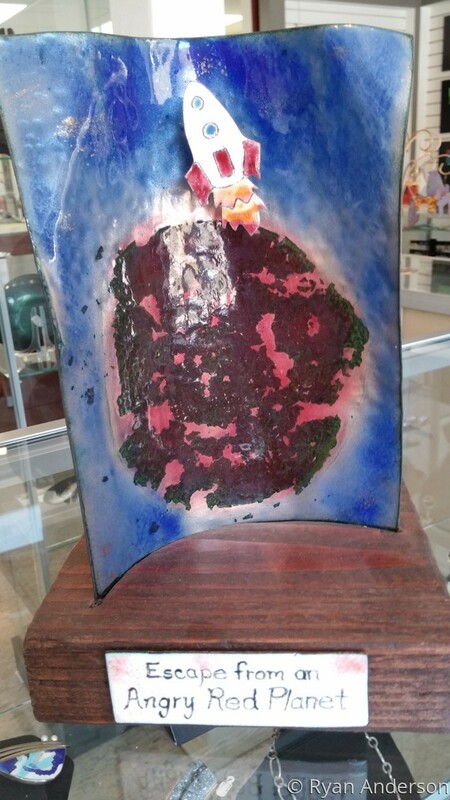 The sculpture stands on a wood base with an enameled title plate.